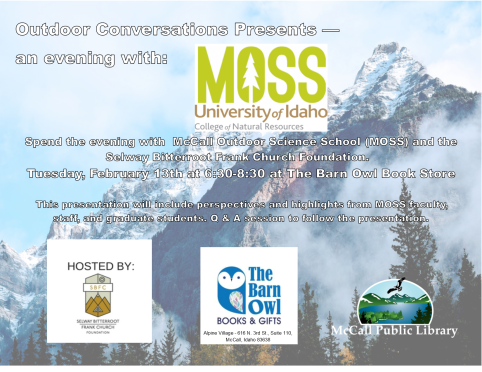 Used book sale will be taking place in the McCall Public Library conference room all week! 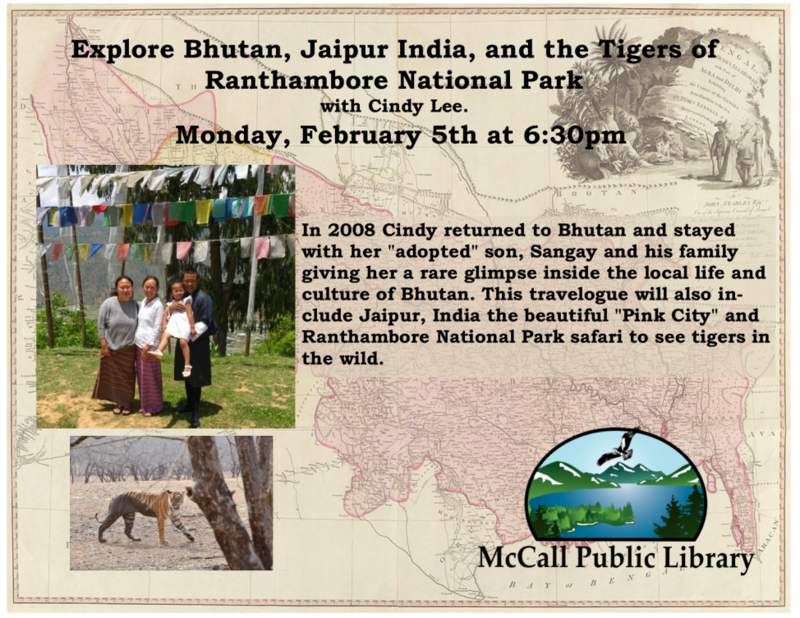 In April 2008 Cindy traveled to Bhutan, Land of the Thunder Dragon. There she met and traveled with her guide Sangay Dorji. Cindy sponsored Sangay to visit McCall the summer of 2008. Cindy returned to Bhutan this May and stayed with her “adopted” son, Sangay and his family giving her a rare glimpse inside the local life and culture of Bhutan. This travelogue will also include Jaipur, India the beautiful “Pink City” and Ranthambore National Park safari to see tigers in the wild. Valentines craft day! 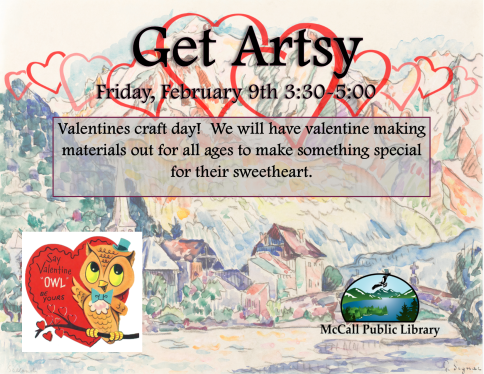 We will have valentine making materials out for all ages to make something special for their sweetheart. No sign-up necessary this month. It is the Golden Age of board gaming! 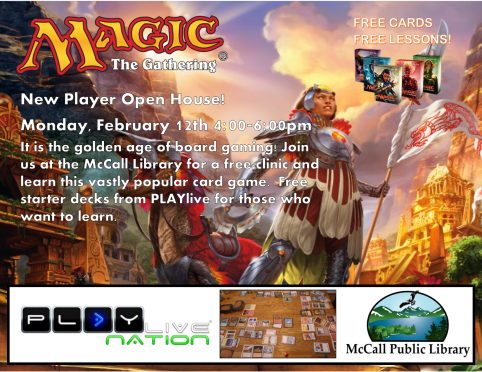 Join the library and Playlive for a free clinic and learn this vastly popular card game. Free starter decks for those who want to learn. 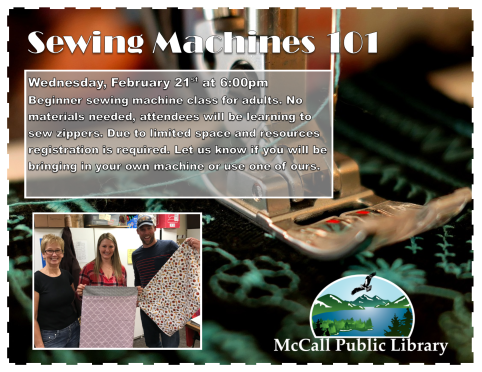 Beginner Sewing machine class. No supplies needed, sign up required. Attendees will be learning to sew zippers. 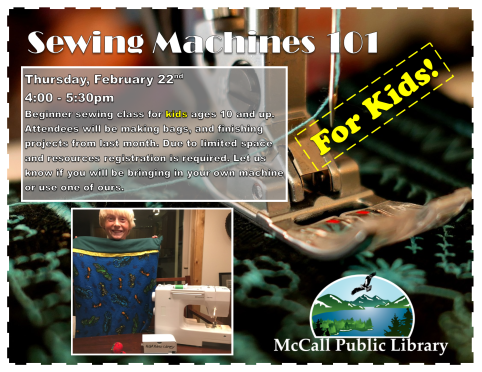 Beginner sewing machines class for kids 10 and up. Attendees will be making bags, and finishing projects from last month. 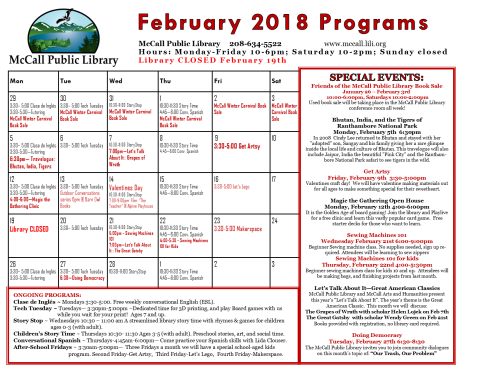 Books provided with registration, no library card required. 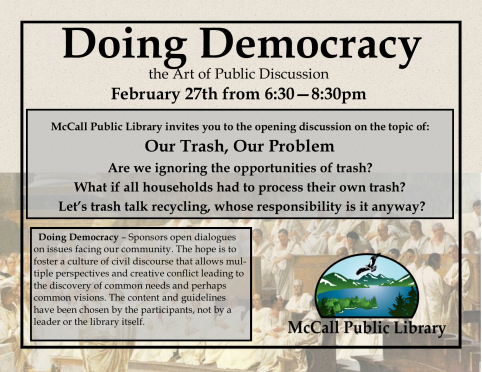 The McCall Public Library invites you to join community dialogues on this month’s topic of: “Our Trash, Our Problem” Are we ignoring the opportunities of trash? What if all households had to process their own trash? Let’s trash talk recycling, whose responsibility is it anyway? 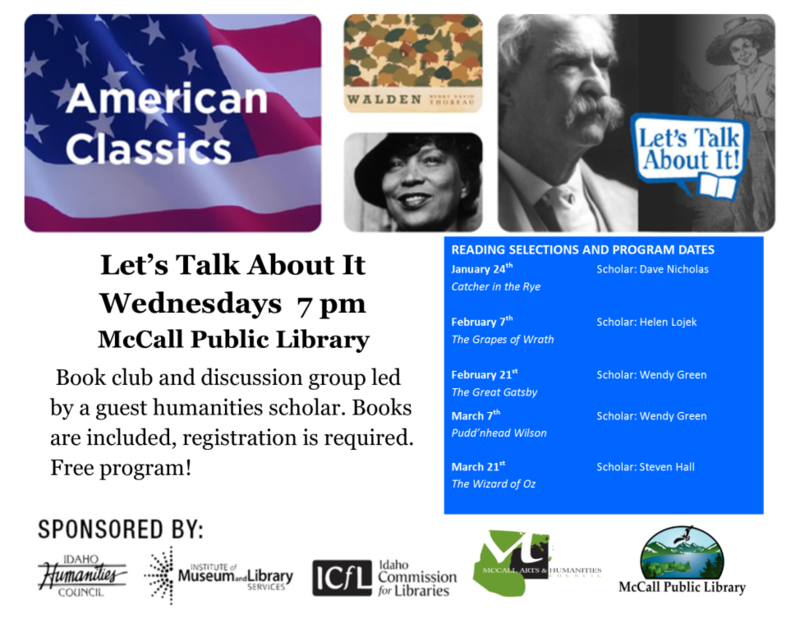 Doing Democracy – Sponsors open dialogues on issues facing our community. The hope is to foster a culture of civil discourse that allows multiple perspectives and creative conflict leading to the discovery of common needs and perhaps common visions. The content and guidelines have been chosen by the participants, not by a leader or the library itself.